This incredible 40 year old blend is comprised of malt whiskies from Bunnahabhain on Islay, and Tamdhu, Glen Grant and Glenlivet from Speyside, distilled from the mid to late 1960s and early 1970s, and complimented that with grain whisky distilled in 1966 from the now closed Port Dundas distillery and a 1965 distillation from the Invergordon distillery. The malt content is substantial with this release, so there is a whopping 90% malt, containing all the outstanding flavour and character of the above mentioned distilleries, not to mention the addition of some of the rarest and most aged grain whisky to be ever added to a blended Scotch whisky. 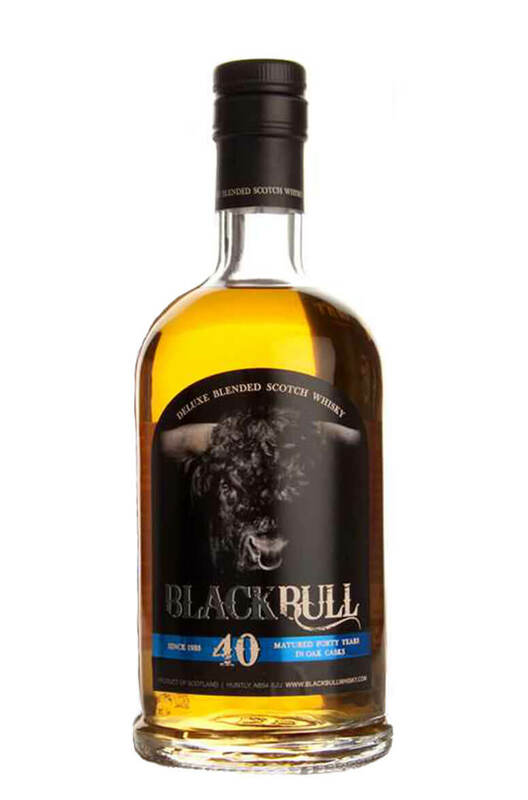 This is made in small batches and represents great value for money considering the age and percentage of malt whiskies. Nose Robust, chunky aromas. Chocolate, toffee, sherry, vanilla and lemon sherbet. Palate Smooth, mellow and rounded. Milk chocolate, treacle toffee, pears, green apples and lots of sweet vanilla. Finish Some heavier fruity notes emerge, and lots of creamy notes coming through. Composition 90% Malt and 10% Grain Whiskies. Any Additional Information of Note Un-coloured and non-chillfiltered.